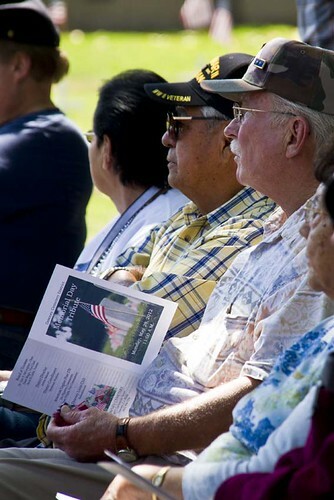 Looking at the faces of the people who attended the Memorial Day Tribute at the Downey Cemetery was a reminder to me that this day is about people. 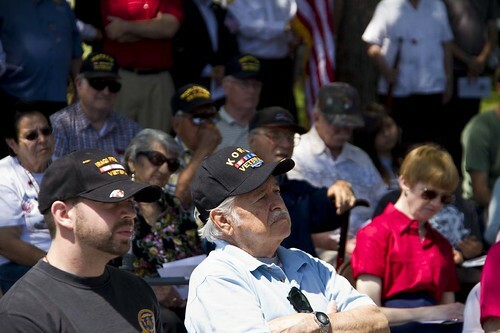 There was a sea of hats among the group, with tours of duty proudly displayed... Korea, Vietnam, World War II. Service to our nation is a proud tradition. I was moved. I felt like I was surrounded by people who protected my country. It's something I don't want to ever take for granted. 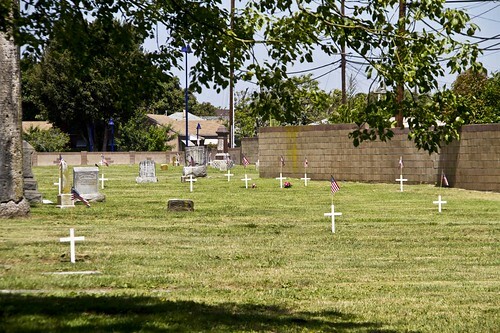 As you look out over the cemetery, small flags mounted on white crosses mark the graves of the fallen and the veterans buried here. On Memorial Day we join together to honor those men and women who have fallen. We do this by remembering their sacrifice. Please take a minute to remember to pray for our troops and for peace.